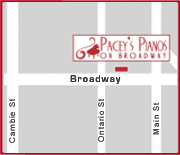 Pacey’s Pianos uses a lot of benches, and so we bring that volume’s sale advantage to the customer. 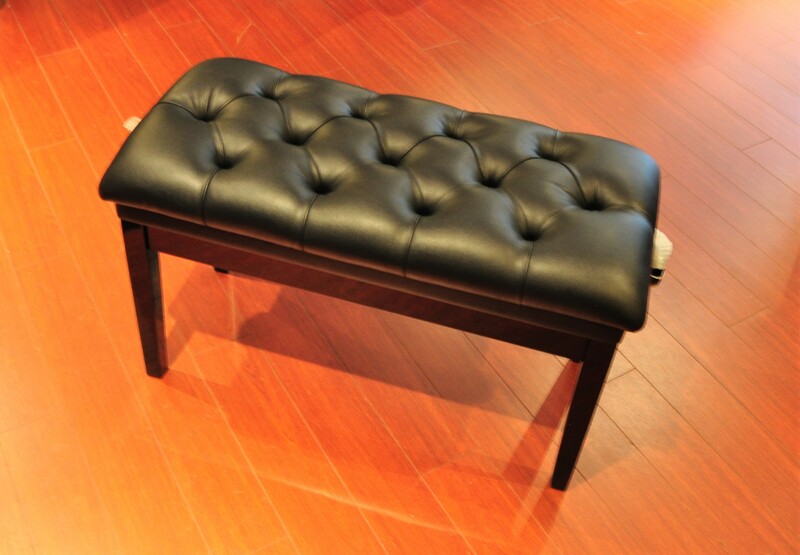 Whether you are interested in a replacement for your 10 year old piano bench, or simply want an upgrade, we have your next piano bench right here in store just waiting for you to pick it up. Ample room for two to sit teach/learn, or to team up for some 4 hand playing. Durable padded top with big storage compartment for books and music. Available in high gloss black, mahogany, and walnut finishes. 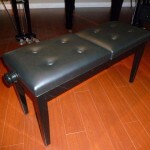 Adjustable height piano bench with pillow padded top, and lined music case for storage. The lifting mechanism is built solidly for years of use and stability. Available in high gloss black, mahogany, and walnut. Dual adjustable seats allow teachers and their young students to sit side-by-side for instruction and duet. The independently controlled sides use a powerful lifting mechanism designed for years of use, and the padded tops are both durable and comfortable. Available only in high gloss black. 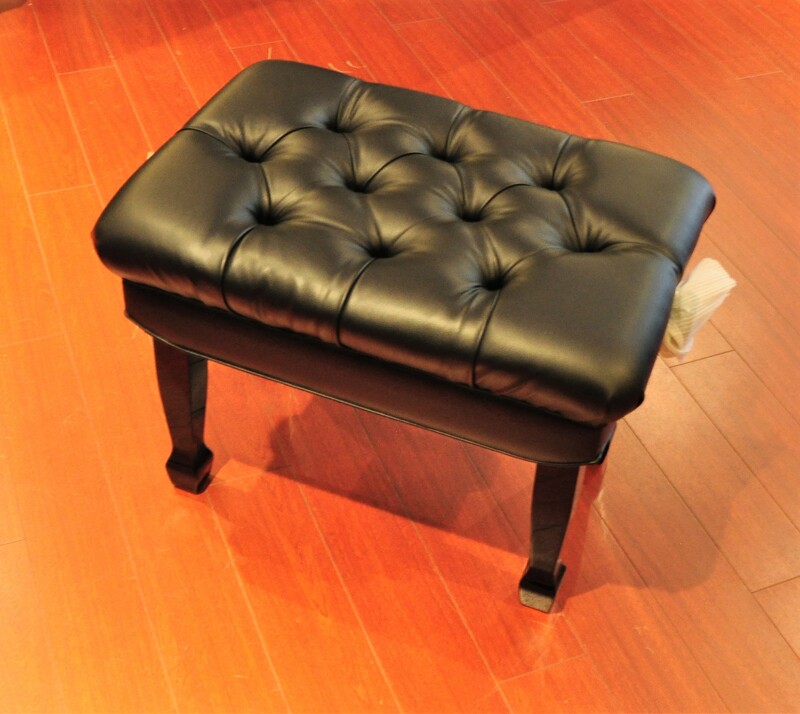 A comfortable and beautiful artists stool for piano. Pillow topped with extra padding for added comfort while playing and practicing. 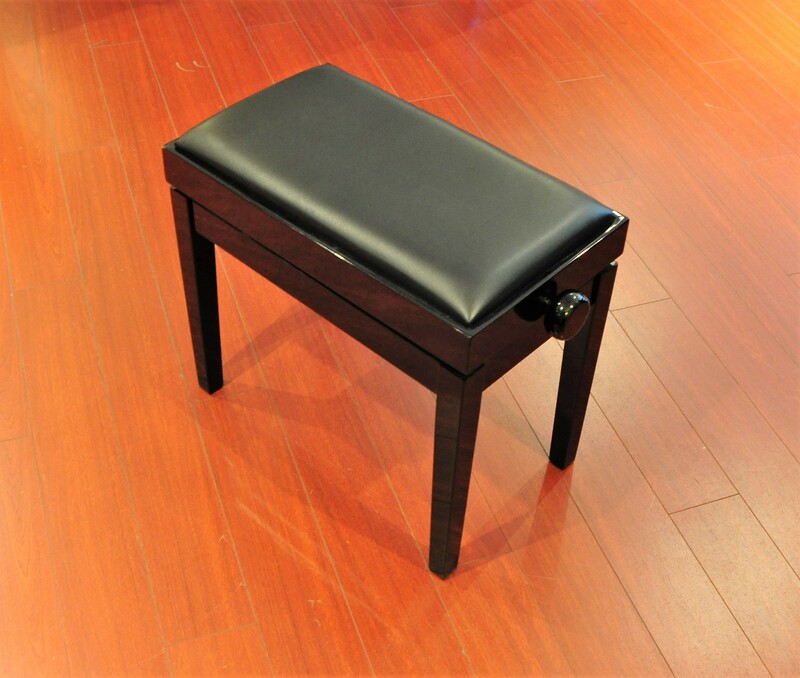 The seat offers a spade leg design to fit most grand pianos and the extended lifting mechanism is both light and durable, and can handle heavy use in any environment. Available only in high gloss black.